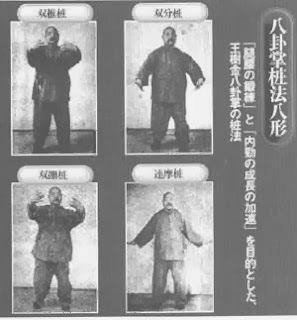 There is a tendency in the Chinese, and increasingly in the Japanese, martial arts to venerate “standing post” training - what is known as zhan zhuang (站樁 - literally “standing like a post”). 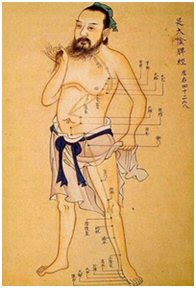 In particular the internal arts of China are known for this practise. 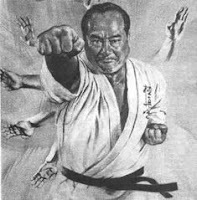 Even more particularly, the art of yiquan (意拳 - literally “concept fist”) focuses almost entirely on this as a martial training method. 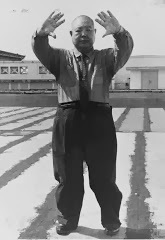 Yiquan, which is also called “da cheng quan” (大成拳 - literally “great achievement boxing”), was developed by xingyiquan master Wang Xiangzhai (26 November 1885 - 12 July 1963). 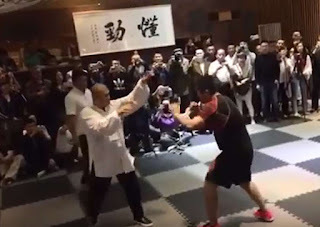 One of his students was the Taiwan-based martial artist Wang Shujin (a master of xingyiquan, baguazhang and taijiquan who happens to have also been one of my grandmaster Chen Pan Ling's main students). 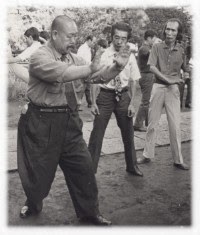 In Japan the yiquan tradition was continued by Kenichi Sawai, founder of the school of taikiken (体気拳 - literally “mind and spirit fist”). Mostly the claims centre on the notion that zhan zhuang helps you develop “great power”. And in a sense I can corroborate this claim. However it does depend greatly what you mean by “power”. Of concern to me is the notion that zhan zhuang is useful because it develops a kind of “mystical” or “superhuman” power - one which is often read into the character 気 (qi/chi in Chinese and ki in Japanese). In my experience zhan zhuang does no such thing. However, it might be said to develop “qi” if by this term one means something far more subtle - namely “intention”. 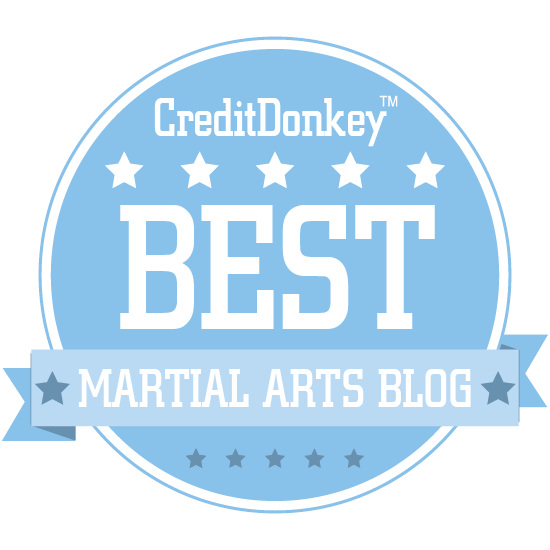 An ability to channel “intention” is of far greater value than most martial artists think. In some respects, I see it as the cornerstone of all effective martial training. After all, what is it that differentiates MMA champions like Georges St Pierre and Anderson Silva from any number of rivals? Is it their size, strength or speed? 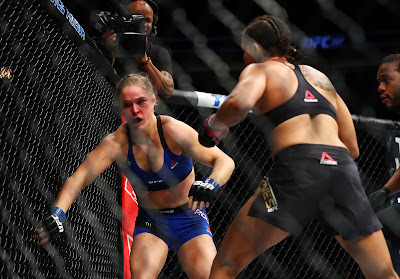 I would say no: there are many fighters who are larger, stronger and faster than either of those champions. Is it their overall skill and athleticism? Again, I would say no: there are many fighters who have pinpoint accuracy, excellent technique, efficient movement, etc. I have gone some way to suggesting that champions have better defence - but even that comprises just another set of skills in movement - skills that many fighters have. Now we could go all “vague” and say “champions have better timing” but that just delays a further question: what is it that makes their “timing” better? They are better able to translate “intention” into “action”. In other words, the psychology of the fighters makes all the difference: how you think affects how you feel, which affects what you do, which affects what you become. This should come as no surprise: the notion that our minds and bodies are somehow separate is manifest nonsense. Cartesian dualism has always been, in my opinion, a con. Rather, each of us comprises one single, connected organism. Champions are better than their rivals at channelling their intention. I think the Chinese ancients tried to describe this channelling of thought into efficient action as the “guided flow of qi”. However if it is true that the ancients used "qi" to describe what are basically mental processes, why didn’t they just use the expression "guided thoughts"? I suspect it is because they intuitively understood that thoughts are not separate, “non-physical” processes. After all, the whole "mind-body dualism" is a Western conceptualisation that wasn't part of the east Asian world view to begin with. And in the absence of modern science - in particular, understanding the functions of neurons and electro-chemical signals, fascia, muscle tissue etc. - they devised a suitable, internally consistent paradigm to cover these processes as one single, unified system they called "qi". Regardless, it is not as if the Chinese ancients didn’t have “thoughts” firmly in focus when considering “qi”. You get an immediate sense of their perspective by examining the term “xingyiquan” (arguably the oldest form of Chinese unarmed martial art). Consider that “xing” (形) means “form, shape or structure” while “yi” (意) means “thought” or “concept”. Of course, “quan” (拳) just means “fist” (ie. it denotes a martial system). 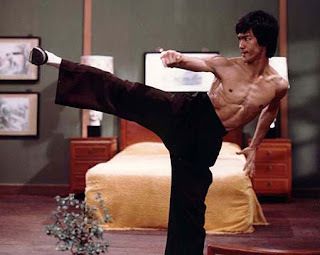 In other words, the name “xingyiquan” just means “physical/psychological martial system”. 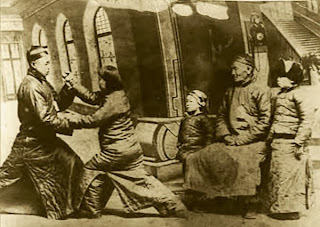 Yiquan of course evolved from xingyiquan. As you can tell, it drops the word “xing” so that it means simply “thought system”. In other words, yiquan (of which zhan zhuang is a large component) is about “mindfulness”; it is focused squarely on the oft-neglected “mental” (as opposed to “physical”) component of training. 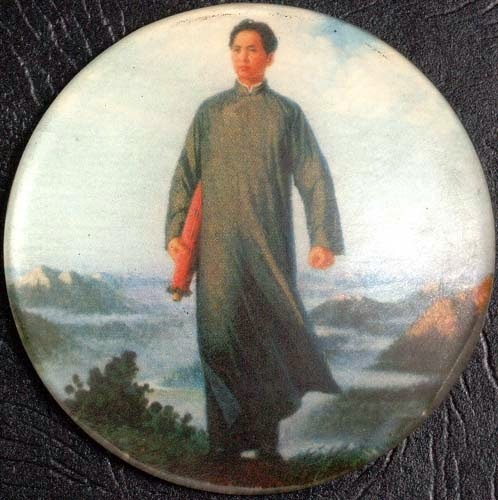 In this sense, yiquan can be translated as “mindfulness fist”. Another, less current, term for “mindfulness” is simply “meditation”. Another way of referring to mindfulness/meditation is by reference to "mental discipline". It is clear to me that if you have mental discipline, you are able to control your thought processes to a much higher extent. If you can control your thought processes, you can channel your thoughts into effective, efficient action - without even momentary hesitation, impediment or distraction. By contrast, consider the average person's lack of mental discipline in the context of getting an annoying tune out of his or her head; or of not being able to get to sleep due to an inability to stop particular thoughts (resulting in the same ground being fruitlessly traversed repeatedly, all night long). In other words, mindfulness is the key to the highest levels of physical efficiency and efficacy. How can you get mindfulness? By practising it. And such practise becomes ever more important as you reach higher and higher levels of physical skill - precisely because this is what will differentiate you from your equally physically skilled opponent. 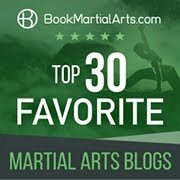 Okay, so you are a martial artist and you want to practise meditation to improve your performance. What form should such meditation take? 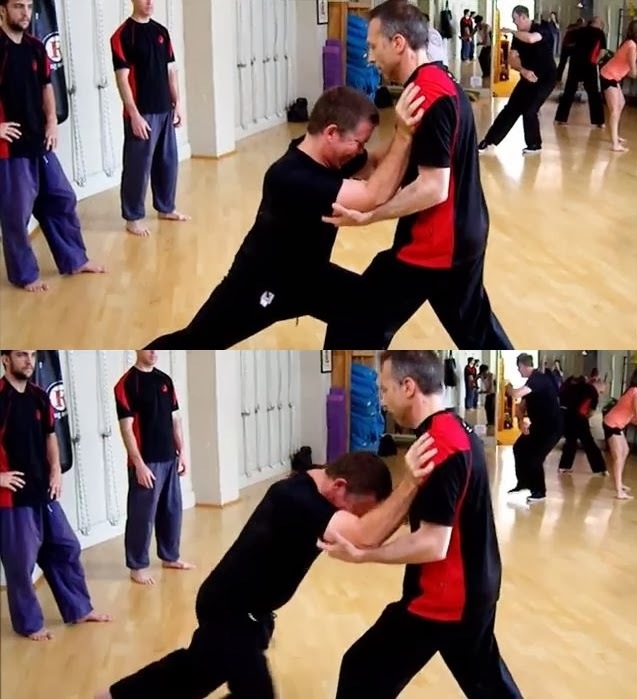 Ideally, it takes a form that revolves around martial structure. Unlike other forms of meditation, martial meditation has more specific goals. One of these is improving efficiency and efficacy of martial movement. And the foundation of all of this is how you stand. This is crucial long before you have the luxury of considering how you move. 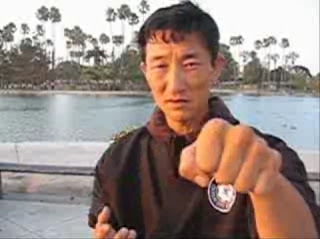 "Sifu Leung explained it is the most basic but most important basic training of tai chi. If you cannot hold your root while standing still how can you hold it when moving?" Accordingly it should come as no surprise that zhan zhuang involves a form of standing meditation - one where you become "mindful" of every detail of your posture and alignment. In so doing you develop a foundation on which you can build structure. That structure should then be solid enough, and dependable enough, to permit efficient, effective action. Standing mindfully can be done in any posture. However it is particularly useful to do so in one that highlights the essential principles of solid grounding (what some call "rooting"). This is going to increase your awareness, and ultimately your balance, posture and strength, on a very fundamental, intuitive level. Basically, what this means is that you can start to control your structure rather than let it control you. Only once you can control your own structure are you able to affect someone else's. Getting back to "power" and "qi"
Which brings me back to the question of "power". How does "grounding" gained from zhan zhuang manifest as the "great power" of which I spoke at the outset? Not only is it very difficult to get any purchase on them in the first place (which is due to a higher sensitivity/awareness of your movement), but even when you do get your hands on them, they are basically too "rooted" to the ground to be unbalanced. They become the fulcrum in the dynamic interplay between your two bodies. 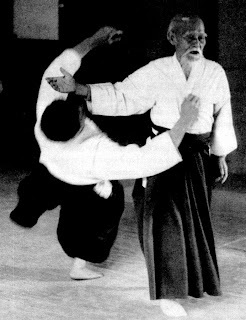 The harder you push, the more you lose your own structure - whether it is by pushing yourself back or falling forward past a "fern-like" body that bends to redirect your (ineffective) force. To me, this is the true test of zhan zhuang: how grounded/rooted you are. This is what shows whether your "mindfulness" has managed to control your structure in such a way as to shape it into a more efficient form. This is the first step in channelling intention into action. I also think this is what comprises the kernel of truth underlying the "fantastical" and "superhuman" legends associated with the internal arts. The "great power" of the internal arts does not lie in some amazing ability to push someone so hard that they "fly away". Rather it lies in the subtle skill of not being pushed, lifted or otherwise moved. In other words, the true purpose of zhan zhuang is one of "building structure" through focused intent. And the true test of whether you've achieved that purpose is to test the strength of that structure by pushing against it. Consider my video below and note that my student is trying his level best to push me, but cannot. I can assure you that this video is not "acted". Nor am I "lifting his elbows" or otherwise employing a subtle "trick". 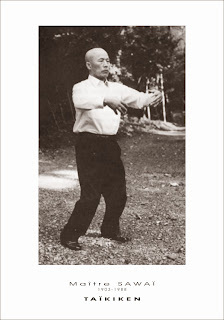 I am simply letting my structure (in this case xingyi's "zhan bu" or "san ti" stance) work for me to direct the force of his push into the ground. Later in the video I demonstrate grounding in sanchin. 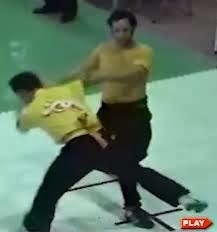 I've previously shown how this can be employed against a push too, but the relative shortness of the stance means that testing it against a push is only really appropriate if your partner is also in sanchin. By contrast, the xingyi stance is perfect for resisting a forward push because of its inherent structure, so it can be tested by a push of any kind - even a fully committed lean. Truthfully, you can utlise grounding in any stance - it doesn't matter. Some stances for zhan zhuang involve deeply rooted postures like the xingyi or sanchin stance. Others use a stance that has the weight biased towards the balls of the feet. Whatever the stance, you should be able to develop "grounding" or "rooting" to the maximum extent afforded by that stance. Indeed, this will help to retain good structure even in the course of transition. Through all of this, it is important to remember what it is that permits the development of "grounding": intention channelled by your mindfulness. In the above video I also demonstrate lifting in sanchin. Again, you will see a student of mine trying to lift me. Without grounding being employed, I am easily lifted. However when I focus on the grounding I become much "heavier". You see this particularly on the last lift where I am most focused - and where my student doesn't quite manage to get both my feet off the ground at all, despite a much greater height and weight advantage. Okay, so if it it isn't something supernatural, how does it work? On one level it seems counter-intuitive. So is it fakery? Is it "mentalism"? I think the video makes it clear that my students are actively trying to move me (within the bounds of the test, of course - more on that in a minute). Moreover I think it is clear I am also working hard - both mentally and physically. If you look closely, at the end of the opening pushes you can hear that I am actually out of breath. I certainly haven't been "defying physics" - as "impressive" or "counter-intuitive" as these demonstrations might be. I have been using physical strength in the form of my structure, albeit in a subtle way. Given that nothing more than physics is at play, it is apposite to note that against a much larger and stronger opponent I would have been pushed over or lifted, as the case requires. In other words, there is a "tipping point" for any such "test". For example, I could observe that I once ran the pushing test at my gym against sceptical gym rats, most of them very experienced power lifters and/or body builders. The only one of them who managed to push me off balance was a rugby full-forward (well trained in practical pushing as well the one who had the most practical strength). And even he didn't move me all that easily. 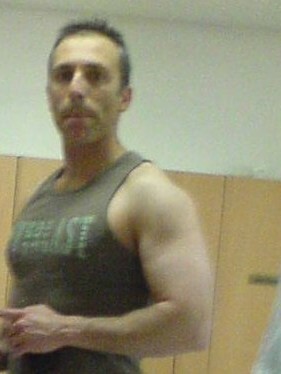 But then again, I wasn't exactly a "small" guy in those days. The adjacent image was taken at around that time - ie. I weighed a good 15 kg (33 lb) more than I do in the above video and I was squatting over 136 kg (300 lb) for 4 sets of 20 repetitions. In other words, to resist strong guys, I had to be "strong" myself. Mindfulness and technique are important - but let's not forget that they are limited by your physical properties. To give you an extreme example, none of us would stand a chance if pushed by King Kong or Godzilla. Obviously the same applies to more realistically sized opponents who are sufficiently larger/stronger than we are. And if you can barely lift a brick, you won't be able to resist many (probably most) attackers - no matter how "mindful" you are and no matter how efficient your technique, or how solid your structure, might be. Finally, it is important to remember that the demonstrations in my video are nothing more than isolated tests of structure from specific angles. 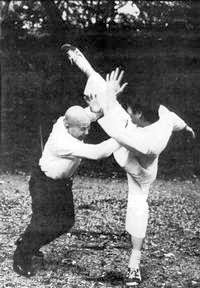 For example, if you pushed me from the side in the xingyi stance, or if you tried to lift me using a more potent method (eg. grabbing around the thighs), I couldn't resist it - at least, not simply by remaining in the same stance and relying on "grounding"
(I might resist your efforts by a host of other measures, including smacking you in the face, but that is another story altogether!). So I'm not demonstrating "fighting techniques" or "scripted responses". I'm merely demonstrating appropriate (and limited) methods of testing structure in the context of resisting a forces from certain angles. Obviously if you're not absolutely honest - with others or even yourself - about what is really going on in such tests, and the necessary limitations on the data gained, you might be tempted to go down the path of believing in something "more than physical". That is the point you will start "believing your own hype". And the more a teacher believes "self-generated hype", the more likely his or her students are to become complicit (usually unconsciously) in the process. This is something today's marital artists commonly call "teacher chi". 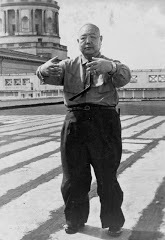 Zhan zhuang - "standing post training" is, I believe, a very useful tool to the martial artist. However I also believe it is generally misunderstood - and almost entirely so. It doesn't function to confer on the practitioner any "mystical" or "supernatural" powers. Rather, it functions as a form of training in "mindfulness": a form of martially focused meditation. What is the primary goal of this meditation? To give you a sense of "grounding" or "rooting" - ie. to improve your structure in subtle ways that enable you to utilise your body's structure - ie. its alignment, posture and relationship to incoming (or outgoing) force - in an optimal, unified way. In a sense, when you practise zhan zhuang you are doing what a sports psychologist might already advise: you're visualising a very desireable attribute: solid structure leading to good grounding. Mindful visualisation can, it seems, can lead to physical results, particularly when paired with the appropriate physical activity. Yes, it is possible to analyse the function of zhan zhuang in terms of qi. However to do so in any sense that is logical or practically useful, I think one has to discard the "supernatural" connotations of that term and consider it as a kind of "catch-all metaphor" for the requisite "physical" and "psychological" processes working together - something I call "channelled intention". While "channelled intention", like the related placebo effect, is still quite poorly understood in exact physiological terms, there is no doubt about its power to influence outcomes. Accordingly I have a great deal of time for people who describe the complex interplay of "physical" and "psychological" factors as a kind of "energy flow" which they call "qi". Until science comes up with a more complete analysis (and while we continue to labour under the fallacy that our minds and bodies are somehow "separate") this compendious expression might well provide a convenient label to some. However one has to be wary of allowing "supernatural elements" to creep into one's definition of "qi". Yes, zhan zhuang can indeed give you subtle skills that defy intuition (at least, at first glance). But this does not justify a leap to supernatural conclusions. I think "small things" based on reality have a "magic" all of their own: they are far more "impressive" to me than than any cheap parlour tricks. Good grounding from zhan zhuang is one of those "magical" things.